340 g/m2. Outer: 92% polyester, 8% elastane. Lining: 100% polyester microfleece. 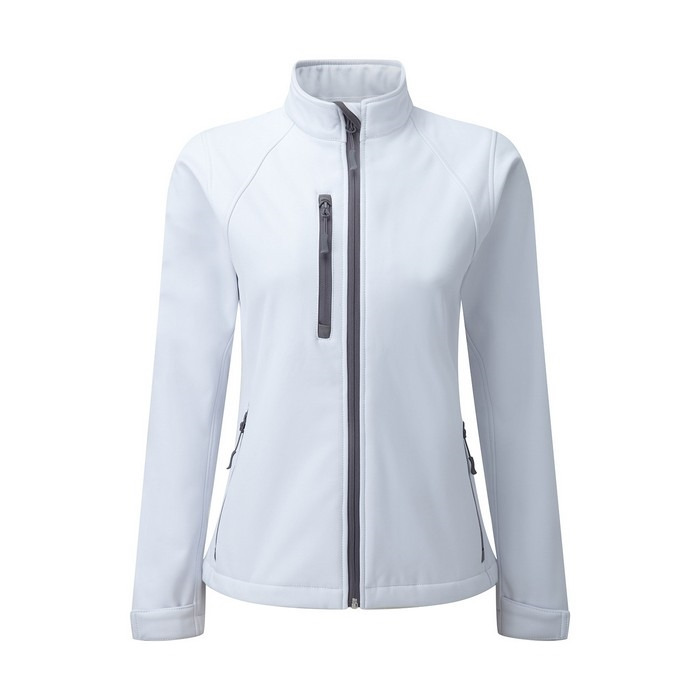 3-layer softshell fabric with breathable membrane (1.000 gsm in 24h). Windproof. Water resistant (5.000 mm). Neck tape. 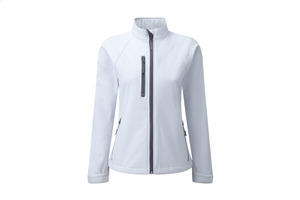 Full zip with inner storm flap and zip neck protector at collar. Raglan style decorative darts, set-in sleeves. Side pockets and chest pocket with inner lining, reversed zips and cord pulls. Adjustable cuffs with tear release fastening. Bungee cord in hem. Drop tail. Feminine fit.